The following action plan was released in December 2016 by the Executive Office of the President along with the Joint United States-Canada Electric Grid Security and Resilience Strategy. The Joint United States-Canada Electric Grid Security and Resilience Strategy (Strategy) is a collaborative effort between the Federal Governments of the United States and Canada and is intended to strengthen the security and resilience of the U.S. and Canadian electric grid from all adversarial, technological, and natural hazards and threats. 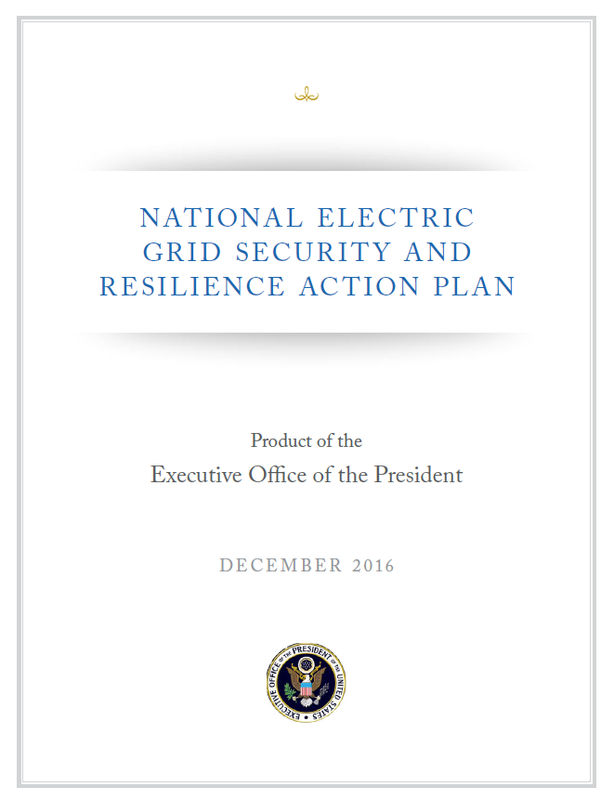 The Strategy, released concurrently with this National Electric Grid Security and Resilience Action Plan (Action Plan), details bilateral goals to address the vulnerabilities of the respective and shared electric grid infrastructure of the United States and Canada, not only as an energy security concern, but for reasons of national security. The implementation of the Strategy requires continued action of a nationwide network of governments, departments and agencies (agencies), and private sector partners. This Action Plan details the activities, deliverables, and timelines that will be undertaken primarily by U.S. Federal agencies for the United States to make progress toward the Strategy’s goals. The security and resilience of the integrated U.S. and Canadian electric grid is dynamic. New threats, hazards, and vulnerabilities emerge even as the two countries work to prevent, protect against, and mitigate their potential consequences and to improve their ability to respond to, and recover from, disruptive incidents. Secure and reliable electricity is essential for safe and continued operation of infrastructure owned by businesses, governments, schools, hospitals, and other organizations. The Secretaries of Energy and Homeland Security, in coordination with other agencies and stakeholders, will lead the implementation of the Strategy and Action Plan. The Secretaries of Energy and Homeland Security will report annually to the Assistant to the President for Homeland Security and Counterterrorism and the Assistant to the President for Science and Technology on progress made in implementing the Strategy and Action Plan in coordination with other agencies. Agencies are also expected to take steps to increase the security and resilience of the electric grid that are not explicitly included in either the Strategy or Action Plan. These efforts will also be included in the progress report to the President. This Action Plan is not intended to, nor does it, create any binding obligations under international law. The Action Plan focuses on U.S. Federal actions that may be taken within current statutory authorities and resources. Implementation of these actions will occur in consultation with State and provincial governments, regulators, and utilities, where applicable, and will require the sustained, coordinated, and complementary efforts of individuals and groups from both the United States and Canada, including many who contributed to the development of the Strategy, such as private sector partners, policy makers, and the public. Agencies will engage with private sector partners to the extent permitted by and consistent with applicable law and policy, including, but not limited to, the Federal Advisory Committee Act (FACA), 5 U.S.C. App. 2. •• National Space Weather Strategy and National Space Weather Action Plan (2015).